Oh, for the day when electric-car enthusiasts didn't expect the rest of us to subsidize their hobby. WSJ.COM: Somebody once asked the late, great British motorcycle journalist Kevin Ash about the electric motorcycles then arriving on the market. After noting that most electricity comes from coal, casting doubt on any eco-benefit, he dug in: "The silly small range and long recharge times make them impractical. . . . An entirely new method of storing electricity is needed to transform practicality, and it must be invented (and then refined in labs) first. 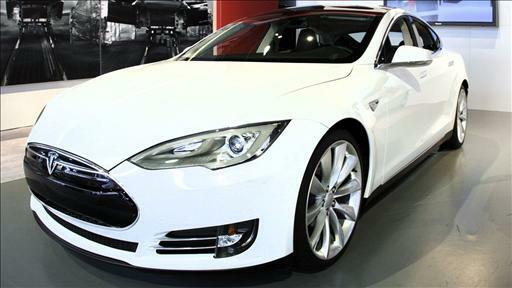 Developing electric road vehicles using existing technology is a waste and a deception." Ash, who was killed last month testing a new BMW bike in South Africa, naturally comes to mind amid this week's spat between the New York Times and Tesla over a road trip from Washington to Boston attempted by a Times reporter in one of the company's electric cars. The car ran out of juice. Recriminations flew. Ecumenically, let's dispense blame to all involved. Tesla certainly has a point that, on such an extended journey, Priorities A through F should be attending to the battery, not keeping up with traffic or enjoying the ride. The New York Times has a point if the purpose of the Tesla-designed exercise was to show the Tesla S can be a worry-free substitute for a gas-powered car on a long trip. It can't. The best point, though, is had by those green-car advocates who say Tesla was nuts to concoct such a PR stunt in the first place. "If an average driver needs such hand-holding from an automaker to make the trip, it's the wrong car for the trip," writes GM's former in-house electric-car enthusiast Chelsea Sexton at Wired.com. The ensuing furor undoubtedly owes much to the fact that Tesla and its affluent fans are heavily subsidized by the U.S. taxpayer. 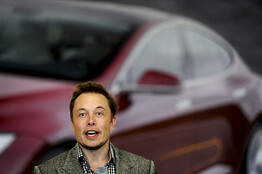 More power to Tesla founder Elon Musk and his customers if, with entirely their own money, they wish to indulge an interest in electrical vehicles. But that's not the case here, and the delusions of U.S. government policy seem to have filtered into Tesla's public relations. Kevin Ash was right. To subsidize the take-up of immature technologies that can't meet ordinary expectations of the marketplace is a formula for embarrassment, scandal and discrediting the very technology being promoted. We like to imagine coherent government planning. We like to think policy actions are predicated on careful and intelligent anticipation of consequences. But the nature of the beast is otherwise. Any rational coordination of means and ends goes out the window as soon as the political scramble for subsidies begins. Tesla, let's recall, set out to market an electric car before Washington entered the business with its vast and distorting subsidies. Most troubling, to Tesla at least, ought to be the new Obama fuel-economy rules that virtually require the big auto makers to build electric cars and bribe consumers to drive them off the lot in order to create headroom for the cars that auto makers really want to sell. Hard to devise would be a better strategy for discouraging the profitable emergence of a niche maker of electric vehicles. The Ash rule applies not just to electric cars, but to wind farms, solar power and other renewable energy projects, all of which may have potential, all of which would be better served if government limited itself to funding basic research until a technology emerges that the marketplace can support on its merits. Consider the spectacle Germany has been making of itself in this regard. German politicians decided it would be nice if 35% of the country's electricity came from renewables by 2020. German politicians, after Fukushima, decided it would be nice to phase out the country's nuclear plants. German politicians decided factories should be protected from any increase in electricity prices. In their home districts, politicians thought "factory" should be extended to cover any large and influential employer. Now the green future has arrived and German voters are in revolt over rising power prices. "Fuel poverty" has become a buzz term as thousands have been shut off for nonpayment of bills. Politicians have begun trying to claw back subsidies from companies that say the subsidies are the only reason they're in business. A scandal seems to emerge weekly over some big-name company illicitly benefiting from subsidized electricity rates. Though Germany is burning more coal than ever, though carbon-dioxide emissions are higher than ever, its fossil-fuel plants are going broke while waiting for the wind to die down or the sun to disappear behind a cloud. Operators at one point were receiving negative prices (i.e., paying) to get customers to accept power created by coal- and gas-fired generators that must be kept spinning in order to support the heavily subsidized renewables. Yet somehow Germany continues to feature as a role model in the rhetoric of U.S. policy makers. One hopes the news will catch up with them before the U.S. economy is stuck on the roadside needing a tow. ... as long as you aren't in a hurry. Viable [and a great idea] because they travel the same predictable route every day. I used to dream of owning an electric car years ago, before realizing I would also have to own a gas vehicle in order to take a weekend trip. VP Cheney talked about all this as a sign of "personal virtue," but not as anything practical. Once again, he got it right. As this post clearly shows electric cars represent a great potential for the development of transport in the coming years, but to become an established reality for all motorists is necessary to invest in the creation of better performing batteries that can ensure greater autonomy. In addition, to making these means truly ecologic is needed to produce electricity using only renewable sources.